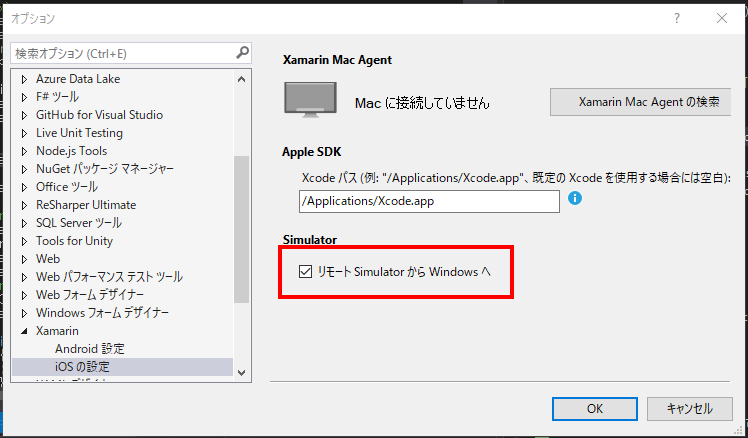 Until the latest release, where the iOS simulator on windows was renamed to Remoted iOS Simulator, it was possible to remote the iOS simulator to windows from any version of Visual Studio. With the current release this has changed. Now a Visual Studio Enterprise Edition licence is required. Prism for Xamarin.Forms入門 Hello, Prism.